Alright so I could have sworn I had made a thread about this before in the NDK area but it mysteriously vanished. Anyway I wanted to get this re-posted because from what I've seen in both the Who's Going to NDK thread as well as general Colorado Cosplayer thread we seem to have a lot of people cosplaying as someone from Hetalia. It'd be great to get everyone together one of the days and have a massive photoshoot. 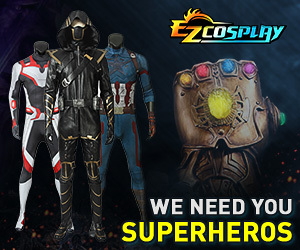 Also it'd be nice to get a collection of costumes and who's doing what so we can know who we need and which characters we'll have duplicates of. So without further ado lemme know what day you plan on wearing your Hetalia costume, who it'll be and what type if necessary. Count me as America too, I got a shoot thread going on the NDK boards, but its good to plan here and pass it on there. Awesome! I'll have to look for it there. I almost never check in at the NDK forums via the official website. Certainly, I'm planning on bringing normal and possibly revolutionary war america if I can get that in time to NDK this year. The shoot will be on Saturday, we'll be meeting to gather then moving the shoot outside to the grassy courtyard if its nice outside. I'll be there as Russia, and if all goes well as Holy Roman Empire as well. Ah it'll be great to see y'all! I'll have to keep an eye out for you guys. I think I'm only going to manage the Nyotalia America costume for NDK. I've got other cosplays planned for the other days. >&lt; Too many costumes, too little time. Sa2r we haz to hang as America and Kiku. It nem btw. We have a good idea for the shoot. Is Saturday at 11 ok with everyone? It'll be outside in the grassy courtyard. Gathering near Starbucks. I'll be America for NDK. It'll also be my first NDK... and my first con at college! Eeek!